Drug and alcohol use during adolescence is not uncommon and will usually begin during teen-years. But, it could become a problem if a teen continues using drugs or alcohol even after facing a lot of issues as a result of these substances. Most adolescents will stop using drugs or alcohol before it becomes a bigger problem. Because of this, the number of adolescents who meet criteria for substance use disorder is very low (about 5 out of 100). 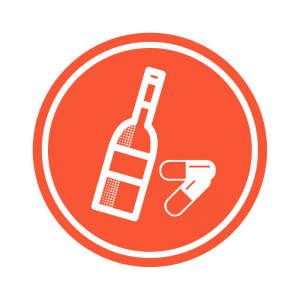 Substance use disorder includes both substance abuse and dependence, which are issues in using alcohol or drugs. Signs of a substance use disorder include getting in the way with school or a job and/or hurting family relationships and friendships. A child struggling with substance use disorder may show a sudden drop in grades; get in fights with family or friends; and experience injury, illness, or run-ins with the police related to substance use. The chart below includes more information on the various forms of evidence-based therapies for substance use disorder. These therapies have been tested and ranked by researchers and clinical child and adolescent psychologists based on the evidence that shows how effective they have been in the treatment of substance use disorder.